A no-deal Brexit is becoming more and more likely with each day Parliament fails to agree a deal or strategy, the EU’s chief Brexit negotiator has said. MPs rejection on Monday night of four alternatives to Theresa May’s thrice-defeated deal has led diplomats in Brussels to conclude that a crash-out is all but inevitable. 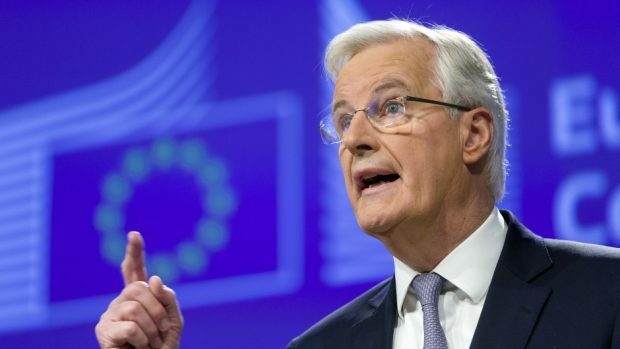 Michel Barnier, speaking with members of the European Parliament’s Foreign Affairs Committee in Brussels, said: “No-deal was never our desired or intended scenario. “But the EU27 is now prepared. It becomes, day after day, more likely. He added: “If there is no-deal and the UK wants to discuss trade or other subjects, we will put the same subjects back on the table. SNP MEP Alyn Smith, who sits on the committee, urged Mr Barnier directly to support citizens’ rights in the event of a no-deal. Mr Smith, speaking afterwards, said: “It’s always useful to remind EU officials that Westminster is not the UK and certainly does not represent the millions of people watching in horror as the UK Government lurches from self-inflicted crisis to self-inflicted crisis. “We’ve all got a tough time ahead of us.